28 May 2015, Cape Town. South African survivor, speaker and ultra-endurance cyclist, Grant Lottering, will take on his second (and far more challenging) Im’Possible Tour over the Alps in August 2015. Lottering’s inspiring story began in 2013 during a 140km world championship preparation race in Trento, Italy. He started the day racing to win, and ended the day fighting to live, when he entered a wet corner at over 60 km/h and crashed straight into a rock embankment. Doctors considered his extensive injuries too severe for him to cycle again: collapsed lungs; 12 rib fractures; fractures of the spine and right femur; multiple fractures of his scapula and clavicle; crushed shoulder; fractured sternum; extensive internal bleeding to his abdomen and spleen; ruptured arteries in his neck and right arm; acute respiratory failure… the list goes on. Lottering promised himself that this accident would not beat him and decided that he would be back in one year to finish the race he had started, the race that nearly took his life. He would show people that the human spirit can triumph over adversity and that the “impossible” is merely a limit set by others. Lottering spent four months recovering, undergoing no less than six surgeries and 83 rehabilitation sessions. Although his recovery isn’t over and he still needs more bone graft surgery to his shoulder, he rode the first of his annual Im’possible Tours in July 2014, titled ‘From Death to the Top of the Alps in One Year’, defying his medical prognosis, accomplishing the “impossible” and raising over R150 000 for the Laureus Sport for Good Foundation, an organisation that educates less privileged youngsters through the power of sport. This year, Lottering’s ‘Taking a Second Chance at Life to the Limit and Beyond’ Im’possible Tour in August will see him becoming the first South African to attempt to complete a solo non-stop 414km ultra-endurance ride through the French Alps in 24 hours. 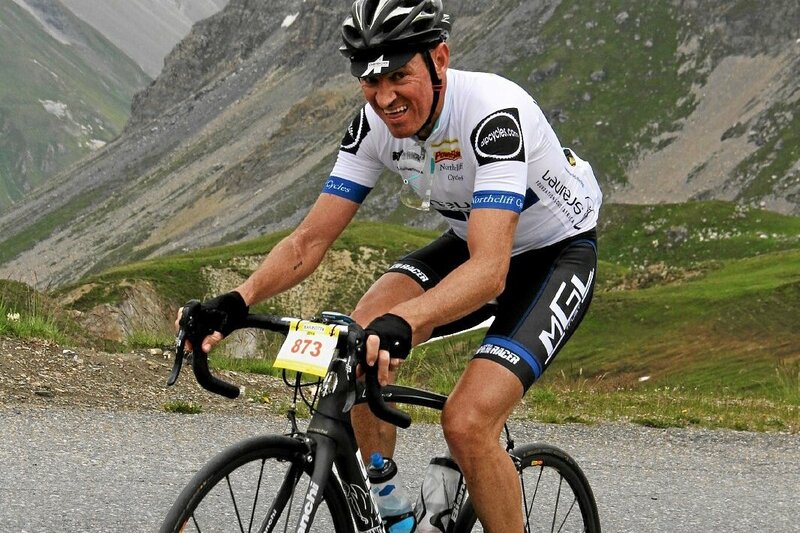 He will cycle over eight alpine mountains and climb 1000 m higher than Mount Everest in one day, finishing at the Les Saisies Ski Resort at an altitude of 1657 m.
Lottering aims to raise R1 000 per kilometer during the Im’possible Tour II 2015 from corporate and individual donations. All funds raised will go to the Laureus Youth Empowerment Through Sport Programme which identifies and trains young leaders, selected from a wide base of sport for social change programmes across Africa, to use the power of sport to successfully transform their communities. Lottering is no stranger to overcoming obstacles, and as he prepares to attempt his second Im’possible Tour, it is clear that he, and the Laureus youth he is fundraising for, are already winners. “We are all able to achieve greatness and overcome incredible odds, but it’s up to each of us to believe and take action,” says Lottering.